Let’s stay fit in winter! Who’s in for badminton? You must be a member of the Munich Inline Skating Group to attend this activity. Would you like to join this group? 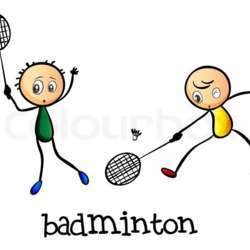 Let’s stay fit and play badminton! We will play for an hour. Afterwards sauna, drink & food possible. Cost: 15€ split among players. PLEASE, be at the place at 10:50 am so we can get changed on time and start playing sharp at 11:00 am!